thinking about coming to next level? If it's your first time at Next Level, you are our honored guest. If you would like to explore what our services are like or have some questions, keep reading. And if you're coming Sunday, you won't regret it. First time at Next Level? You can wear whatever you want, drink coffee in the auditorium, and listen to a challenging, relevant message from Pastor Clay Monkus. YOUR STORY IS SAFE HERE! 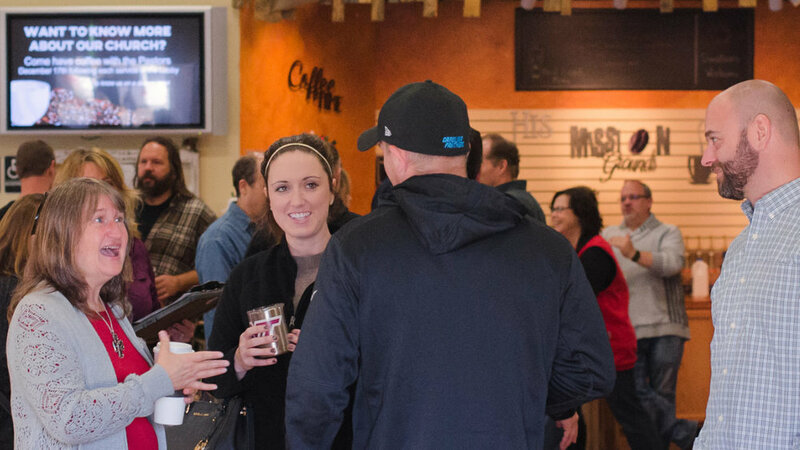 If it's your first time at Next Level, you are our honored guest and we know your first visit to a new church can be an intimidating experience, but knowing what to expect makes things go much more smoothly. We do church a little differently than other places, so here are a few frequently asked questions to help you plan your trip. Don't feel like you have to dress up. Most people wear casual attire (jeans or business casual), but you are welcome to wear whatever makes you comfortable. + WHAT IS THE SERVICE LIKE? At Next Level Church, our services have two primary components: music and teaching. Our services are casual and typically last around an hour. When you arrive, stop by the Welcome Center to get a guest packet. At the Welcome Center they can also direct you anywhere else you need to go on campus. At each service, we have a safe, fun environment where kids learn that God loves them and wants to be their friend. Check-in for our NLC Kids classrooms open 15 minutes prior to the Sunday gathering. We suggest you begin by stopping at our Welcome Center outside the main auditorium and they will guide you through the process of checking your kids in to Awaken Kids (birth-preschool) or Discover Kids (K-5th grade) for the best day of their week. + HOW LONG IS THE SERVICE? Our services last about one hour where the music rocks, the message makes sense, and we won’t call you out or embarrass you in any way. If you want to see our preaching style, check out our current series. + CAN I ATTEND IF I'M ___ ? Everyone is welcome, EXCEPT PERFECT PEOPLE, No Perfect People Are Allowed, you would mess the place up! Just click on the button below and one of our amazing Guest Services Team members will set everything up. In fact, we are so passionate about seeing people thrive, this is actually our mission as a church and the longer you’re around the more you’ll see… we really mean it!